With just over a month to go until the first NHL regular season of the reborn franchise, the Winnipeg Jets unveiled their jerseys in a stylish fashion at 17 Wing Winnipeg. On a beautiful September afternoon, True North Sports Entertainment (TNSE) called an outdoor press conference in conjunction with the local Canadian Air Force base to reveal the last piece of the puzzle. After passing through multiple security checkpoints, media from across the country converged on No. 10 Hanger where three impressive aircrafts had been strategically positioned behind a podium. Jets GM Kevin Cheveldayoff and Dennis Beyak, the recently announced new voice of the Winnipeg Jets, spoke briefly to all in attendance as airliners taking off from James Armstrong Richardson International Airport and the downtown Winnipeg skyline created the perfect backdrop for the highly anticipated announcement. 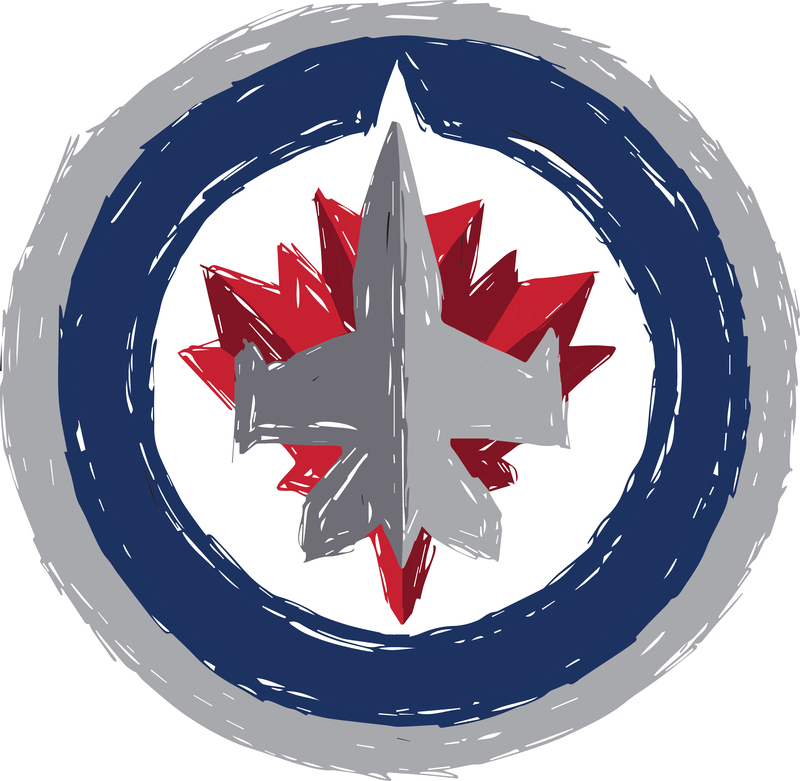 The big reveal was pulled off perfectly, as defensemen Mark Stuart, Jets captain Andrew Ladd, Manitoba-born Eric Fehr and right winger Nik Antropov stepped off the back of a Canadian Forces Hercules cargo plane wearing their respective Winnipeg Jets jerseys for the first time. Both the home and away jerseys feature two shades of blue: the darker “Polar Night Blue” found on many Canadian Forces aircraft, and the lighter “Aviator Blue,” a nod to the shade of blue found on the jerseys of the 1948 RCAF Flyers. Described by Cheveldayoff as “clean, simple and traditional,” the jersey are just that, with parallel thick stripes on the arms providing a distinctive look amongst the other NHL clubs. As another testament to the hard-working nature of the Jets ownership group, Cheveldayoff also revealed the jersey design process with Reebok, which normally takes 18 months, was completed in only six weeks. The Manitoban asked some Bison football players on hand at a recent Bison Sports press conference to share their thoughts on the new look for the Winnipeg Jets. Thomas Hall, a linebacker in his fourth year with Bisons football, also chimed in on what he and his defensive teammates thought about the jerseys and the team logos. 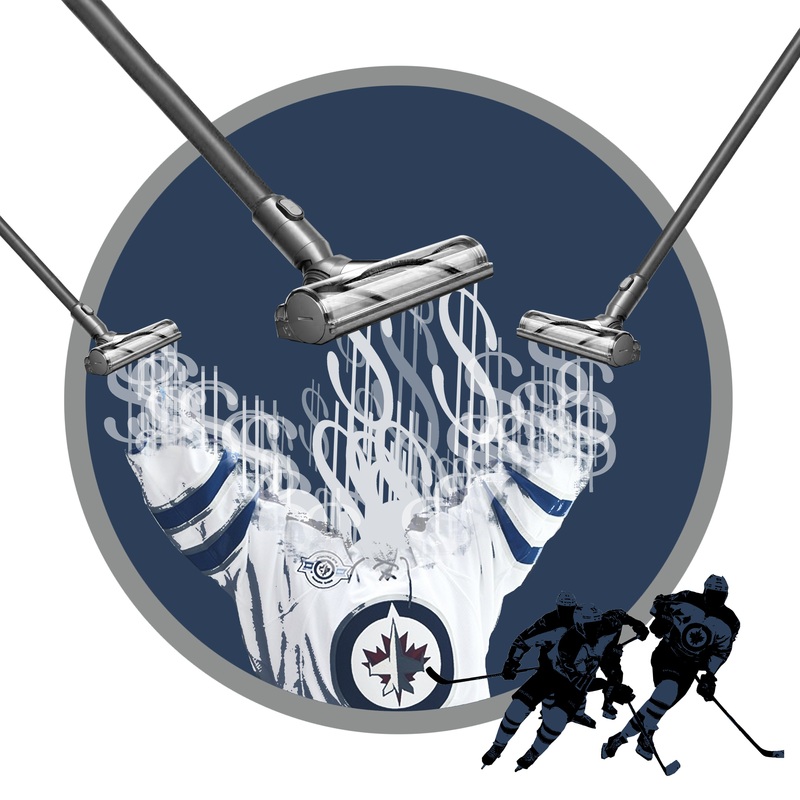 Fans will get their first glimpse of the jerseys on the ice at the MTS Centre on Sept. 20, when the Jets play a split-squad game against the Columbus Blue Jackets. Jerseys won’t be in stores until October, but pre-orders can be placed at the Jets Gear store at the MTS Centre or any major sports merchandiser in the city.